At Swim for Tri we are proud of having helped thousands of clients get fitter and faster, from completing their first novice triathlon to representing their country or taking on The Channel. With over 15 years experience and affiliations with Speedo, Virgin Active and The Henley Swim, we felt that the look and feel of our brand had gotten a bit out of date. What we needed was a new visual language for Swim for Tri that was bold, ambitious, and reflected how far we’ve come as a coaching company – leaders in the field of coaching open water swimming. So to celebrate the long-awaited relaunch of swimfortri.co.uk, we are extremely pleased to be unveiling our completely refreshed brand identity to go with it. We hope you like it! We’ve completely redesigned our website from the ground up, making it much easier to use and navigate around, whether you’re browsing it from your home computer or on a mobile phone while on the move. We think you’ll find it easier to browse the courses and workshops we offer, and you’ll even be able to book them online too. But we’ll still be available to speak on the phone just as before, incase you’d prefer to talk to someone first. Swim for Tri is more than just a coaching company. It’s a community of people who train together week after week and share their common passion for swimming. We wanted to celebrate all the amazing people that make up our community featuring you in the imagery across the new website and in our newsletters. We’ve listened to your feedback about what you expect from your online experience of Swim for Tri. You told us that you enjoyed the content on offer in the Online Members Area, but it wasn’t always the easiest to access and explore fully. So we have decided to make the kind of content we offered in the Members Area more accessible and widely available, so that more people can benefit from it. 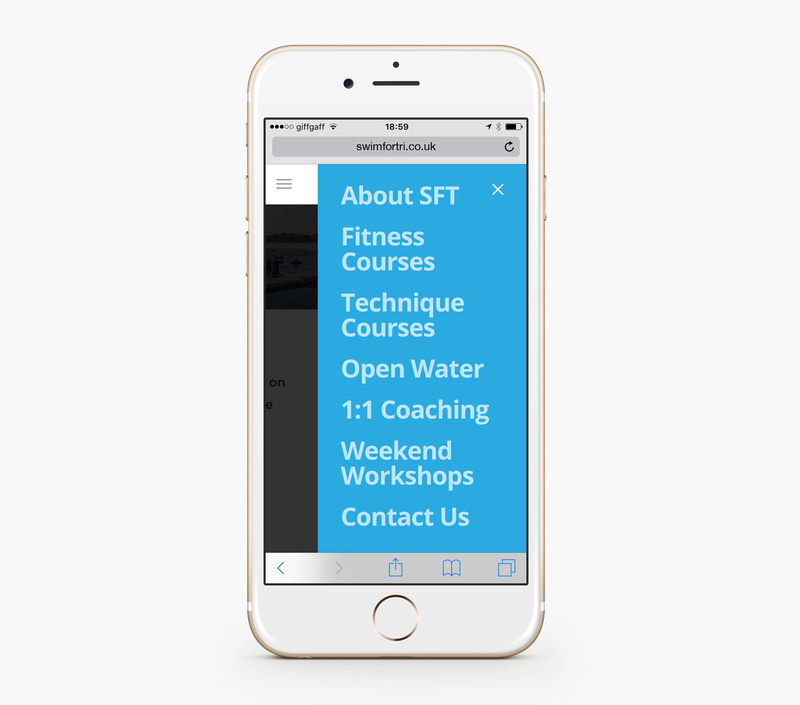 We want swimfortri.co.uk to become the go-to resource for expert swimming tips & advice. You will have heard from us separately if you’re a current user of our Members Area. Everyone receiving ‘On Your Own’ weekly sessions will continue to receive them until their 12 month subscription period is up. Then if you wish, you will be able to resubscribe via the new website. That’s all for now. So do have a look around, and let us know what you think!